Fantasy Scimitar Swords are 25 inches in all. These full tang swords combine the curved blade style of an Arabian Scimitar with anime and fantasy accents. The sharpened polished 17 ½ inch stainless steel blade is engraved with a fantasy wave design and cutout accents. The handle has polished steel accents and features a polished steel guard. 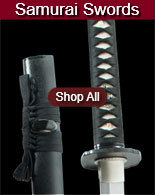 They include a black nylon scabbard. 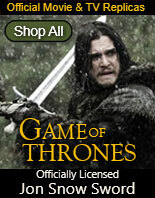 Buy these Fantasy Scimitar Swords for only $39.99. 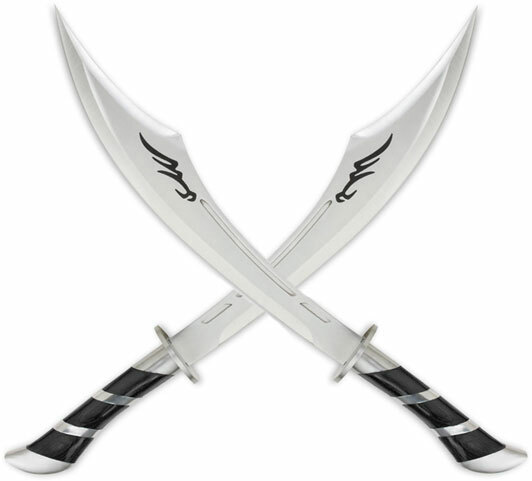 Fantasy Scimitar Swords Set includes two scimitars that are 25 inches in all. 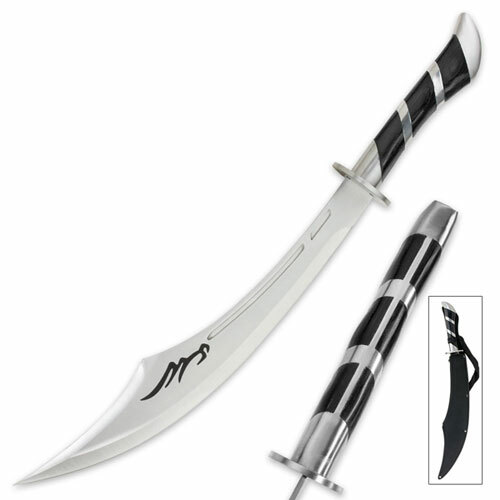 These full tang swords combine the curved blade style of an Arabian Scimitar with anime and fantasy accents. The polished 17 ½ inch stainless steel blade is engraved with a fantasy wave design and cutout accents. The handle has polished steel accents and features a polished steel guard. Each scimitar includes one laser etching and a black nylon scabbard. 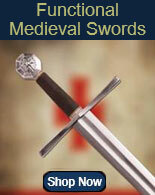 Buy the Fantasy Scimitar Swords Set with etchings for only $89.99. Customize these pieces with laser etching. Laser Etch up to 30 characters per sword. 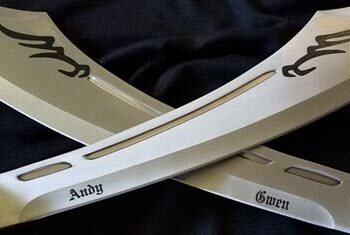 Swords can be individualized with names or phrases. 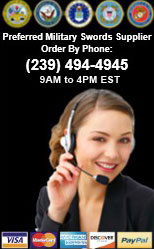 This service is ideal for ceremonies, personalizing gifts and awards. The etching will be placed above the guard on the right side of the sword blade and will read from left to right or from the hand guard to the blade point of the sword. If the swords will be displayed crossed, the etching will placed on the reversed side of one sword so both can be read while displayed. 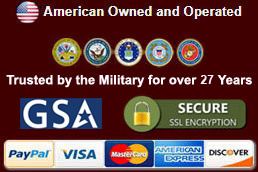 See image for details.